The "Woolly Pully" sweater was originally developed during World War II for use by the British S.A.S. and Bomber Command. 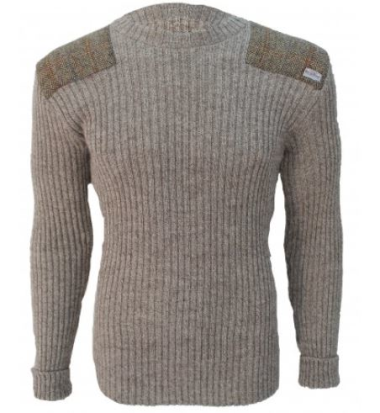 This heavy wool, rib knit crew neck sweater is hardwearing and functional, with ‘Harris Tweed’ shoulder patches for a touch of class. 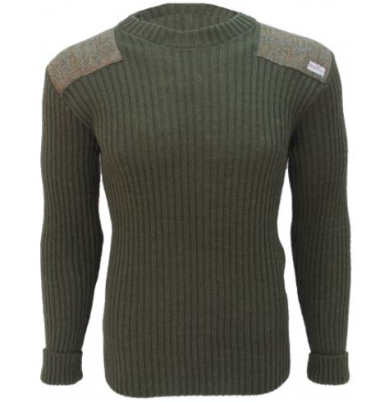 Durable and hardwearing, this classic crew neck sweater retains its appearance and shape wash after wash. We have manufactured the "Woolly Pully" for over 50 years to the exacting standards of the British M.O.D.